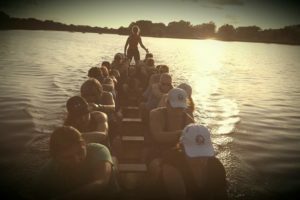 So you may be thinking to yourself, This sounds fascinating, but what the heck is dragon boating? If so, you’re in good company. Dragon boating has its roots in ancient Chinese culture. As legend has it, more than two thousand years ago, a poet named Qu Yuan was banished from his beloved kingdom. Qu Yuan weighted his pockets with stones and waded out into the Mei Lo River to drown himself. Fishermen took their boats out to try and save him. As they frantically searched, they beat gongs and drums, stirred up the water with their paddles, and threw sticky rice dumplings into the river to try to distract the hungry fish and prevent them from devouring him … to no avail. In his honor, festivals were held to remember the tragedy. 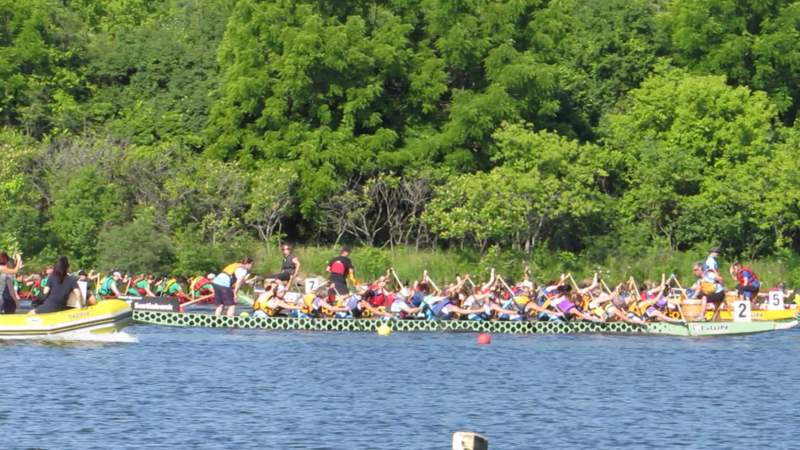 Today, dragon boat teams race to keep the tradition going (though throwing delicious dumplings into the water is highly frowned upon at modern festivals). During a typical race, crews of 20 — plus a steersman and drummer — paddle a roughly 700-pound boat a predetermined distance (usually 500 meters but as little as 100 meters and as far as 2,000 meters), all to the beat of the drum of the drummer who sits in the front of the boat. 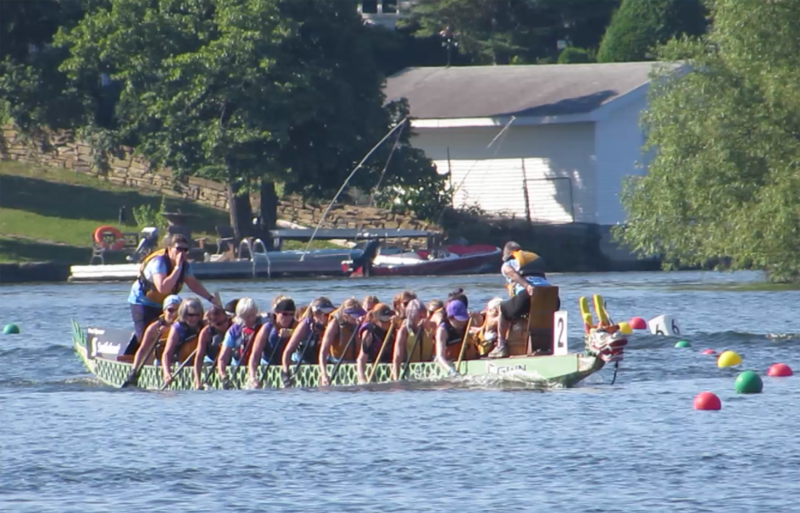 With up to six boats competing at a time, teams are divided into divisions by skill, and races continue until a winner emerges from each division. Then medals are handed out and merriment ensues. 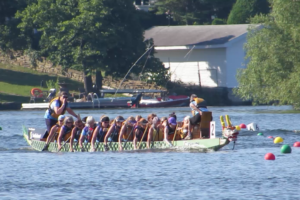 You can learn more about the interesting history of dragon boating from the International Dragon Boat Federation website and the 3 Rivers Rowing Association website.